One of the things we tweaked recently was our Glendale Raptors Rugby Academy, an elite development program for our younger players - under 23 years of age. Following the inaugural season of Major League Rugby, I’m confident that all seven teams are taking some time to reflect and adjust for next season. For Glendale, we are always tweaking things to make us more efficient and effective, both on and off the field. 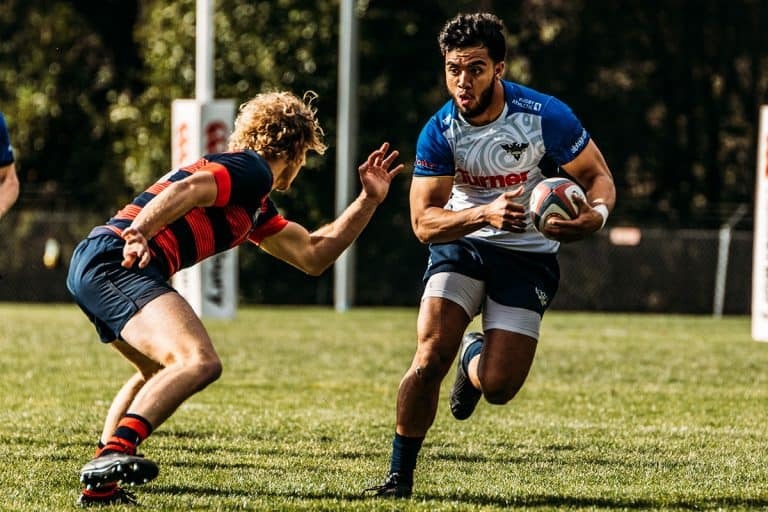 One of the things we tweaked recently was our Glendale Raptors Rugby Academy, an elite development program for our younger players – under 23 years of age – who we think show potential to play at the highest level. In the first year of this program, we brought in a full team of athletes (30+) from around the U.S. with the idea that they would train as a team and then compete against collegiate and local club teams from around the area, and then, eventually, other Academy teams from other Major League Rugby markets. This would allow them a professional training program, tough competition and the ability to be selected by our Glendale Raptors coaches if the occasion and opportunity arose. Several players who started in the Academy program quickly rose through the ranks. We had Mika Kruse, Jake Christmann, Carlo de Nysschen and Siale Maka all find themselves offered contracts as Raptors in 2018. We also had several of our academy players brought up to train with the Raptors following their fall season and more still who are being offered contracts with other teams, which for us is also an incredible source of pride. We are very proud to have built this Academy program to not just develop great rugby players, but thriving members of society, regardless of what team they end up playing for. To this end, we also help offer career, education and affordable living opportunities for our players and recommend that all our athletes participate in community service while they are playing for our club. In addition, we were delighted to see a few of our Academy players were also invited to join the Junior All-Americans that faced Canada U-20s in the World Rugby Trophy Qualifiers in Texas last month. Alec Leddy, Max Dacey, and Ryan James were all part of the player pool and although an injury-plagued James throughout the camp, Leddy and Dacey were able to train and play with the All-Americans for more than a week. All-in-all, the first year of our Academy program was a success. With that said, however, we also recognized that the Academy wasn’t getting the level of competition we initially had hoped for. Many other teams in the MLR are still working on finalizing their Academy pathways and Raptors Academy team was often faced with holes in their schedule. Now, of course, there were still several great matches throughout the first year, but after some careful consideration and another chance for us to examine the English Academy structure first hand, last winter, we decided to narrow our Academy pool to just a dozen or so players and allow them to fully train with the Raptors starting in August. The athletes invited into the Academy for this upcoming season will join our current pool of professional players as they prepare for their next chance to win the MLR Championship. They will train and play alongside some of the best in the country for the remaining months of 2018 and if they are not named to our Raptors squad come 2019, they will play for our Glendale Merlins Division I Men’s Side as they hunt for their respective Championship until they are ready to be signed to a professional contract. As always our athletes are encouraged and guided to professional programs, both here and abroad, if that looks to benefit their development and build their player profile. Another way that we like to develop players is by having them play with various regional clubs during the summer. We don’t officially field a sevens team here in Glendale, but we had a couple of our young athletes join forces with the Denver Barbarians to play in the Frontier Conference this summer. 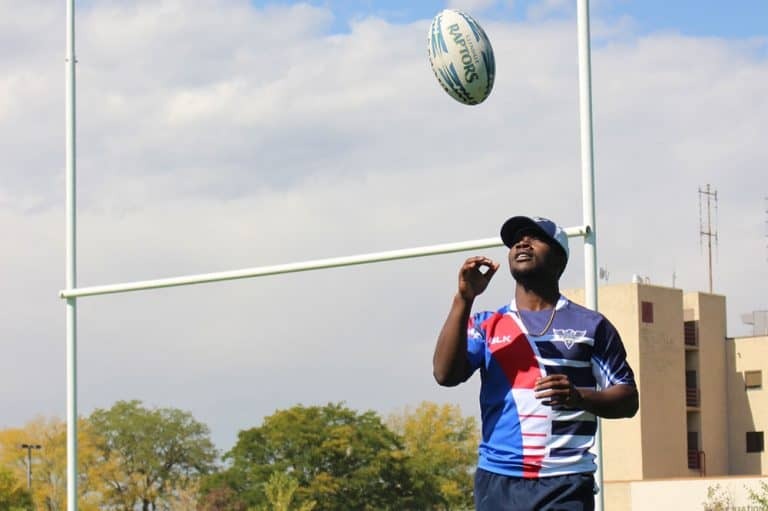 Furthermore, we arranged a partnership with the Vail Rugby Club to host a summer rugby program designed for high-level university players looking to develop their game. We sent several young men up to Vail this summer for a very unique and exceptional opportunity to live and play rugby at 8,000 feet, all the while receiving the best rugby coaching the U.S. has to offer. The summer program was made up of a mix of current Vail Rugby Club players and several collegiate players we invited from around the U.S., who we wished to observe more closely. This provided myself and the Raptors coaching staff with a clearer idea of which players we would like to select to join our Academy in the seasons to come. Aside from the current Raptors staff involved in developing this program, Glendale and Vail Rugby was very excited to include former USA Rugby CEO, Dan Payne, as a member of the Vail summer coaching staff, as well. It’s also worth noting that Payne, who was appointed as the CEO for Rugby Americas, will start work in his new role at his new World Rugby offices in Glendale’s HATC building. Obviously, it will be invaluable to have him and World Rugby just down the hall from our Glendale Rugby offices. Last, but certainly not least, I would be crazy not to mention that we also will be hosting the Collegiate All-American Selection Camp at Infinity Park in Glendale, in August. This will be an incredible opportunity for our staff to observe 100 of the best college athletes as they train and compete under the direction of National Team and Major League Rugby coaches. At the conclusion of the week, All-American selections will be named, while we will also be evaluating players for spots in our Raptors Academy. The City of Glendale prides itself with its commitment to the growth of rugby in the U.S. and we love to host these kinds of training and development opportunities for the next generation of professional rugby players and, of course, U.S. National Team members. We also like to think RugbyTown USA is leading the way, providing a full pathway from youth to professional rugby, the first of its kind in the States.